Increase the total cleaning capacity and performance of your Simoniz pressure washer. 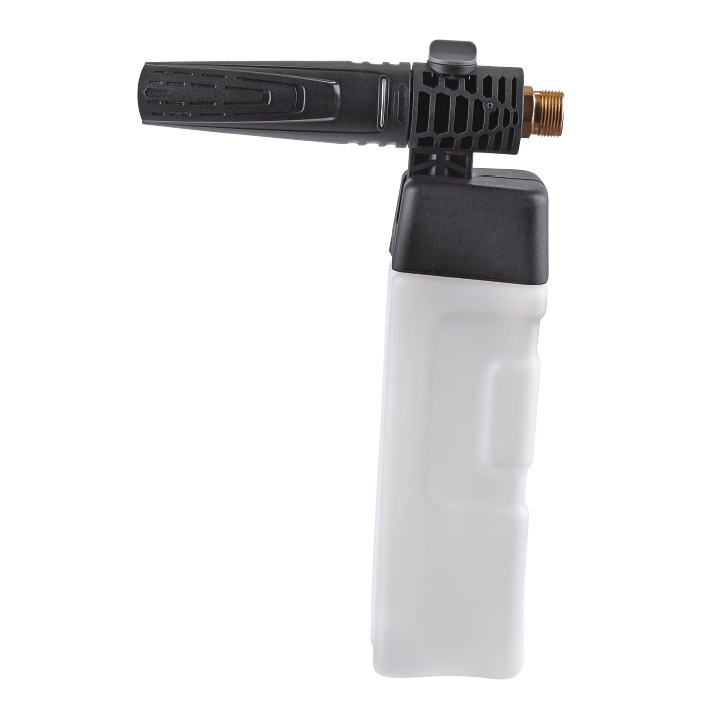 These pressure washer accessory kits helps to make your cleaning projects easier. Learn how to make the most out of these tools. Make all of your vehicles shine with the Simoniz Auto and Boat Cleaning Kit. 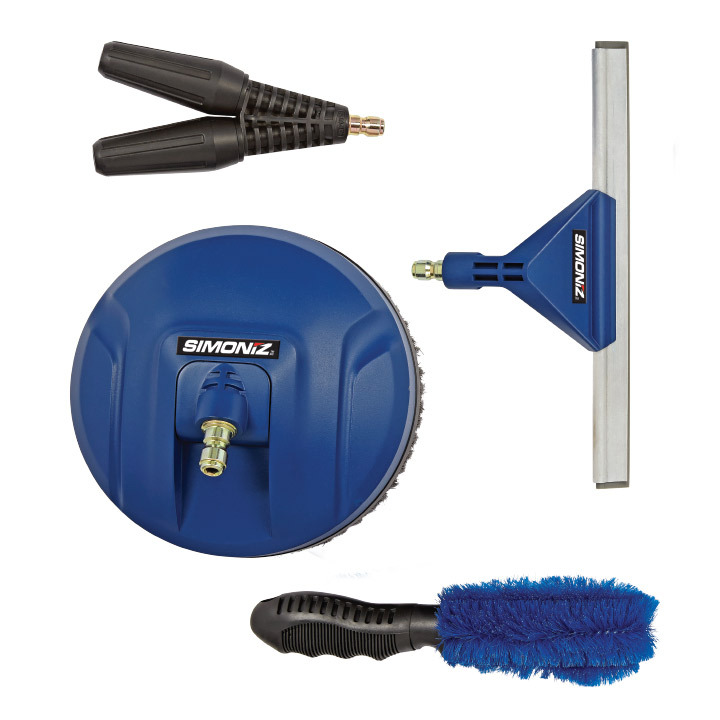 The kit includes a 6″ spinning surface cleaner that is safe for use on automotive paintwork; dual turbo nozzle for more effective rinsing; 10″ squeegee for streak-free window cleaning; and a sturdy tire brush for scrubbing tires and rims. 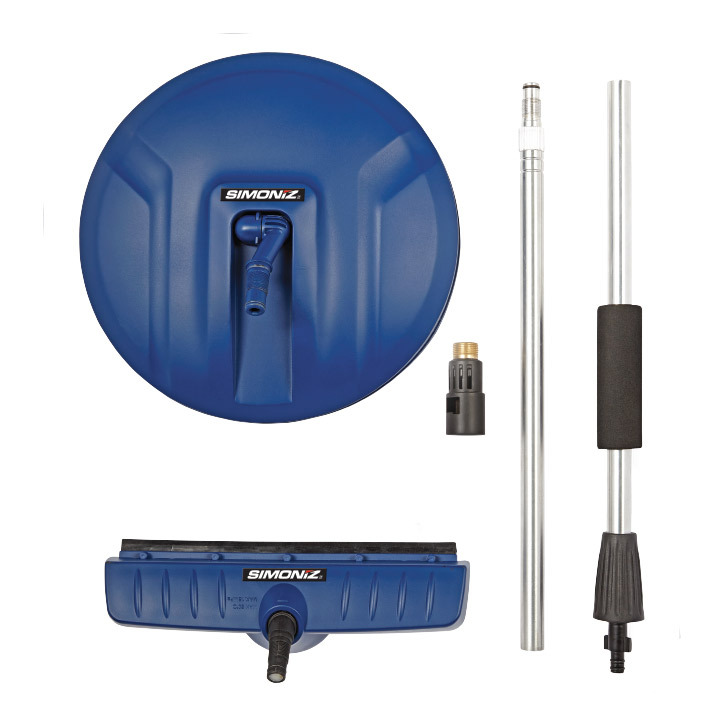 The Auto and Boat Accessory Kit is ideal for cleaning cars, SUV’s, boats, and RV’s. Turn your pressure washer into the ultimate spring and fall cleaning machine with the Simoniz House Cleaning Kit. 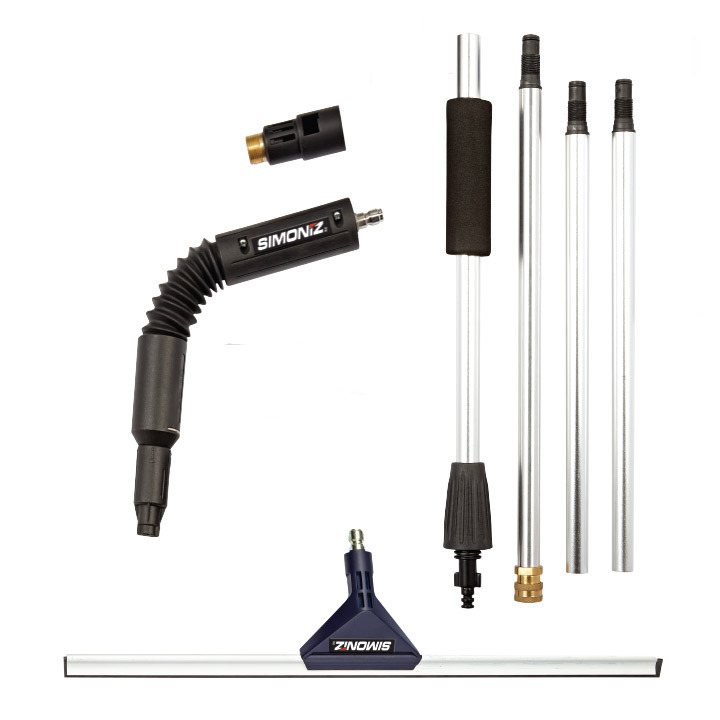 This kit includes a 5′ aluminum extension handle to help reach high places such as windows and eavestroughs, an 18″ window squeegee, and an adjustable spray wand with eavestrough nozzle for those hard-to-reach spots.